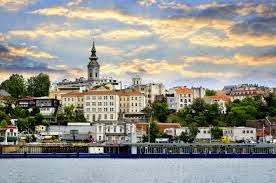 Noored Ühiskonna Heaks (NYH) is promoting a call for participants for a Training Course called “Crtl + S” which will take place in 23rd until 29th March 2015in Belgrade, Serbia. Today we are facing the fast development of technology. Technology helps us to connect with different parts of the world, makes information going fast and gives the opportunity for all information to be found in one place – the internet. Apart from this advantage we face another challenge – digital violence. Internet is accessible almost to everyone today without knowing how to use and to behave. Because of that there are a lot of situations of digital violence that start harmless and lead to serious situations such as suicide, depression, disappointment, ending of relationships… Most of the digital violence we are facing on social networks such as Facebook, Instagram, Twitter. People are still not aware about the digital violence and consequences that are part of social networks. The main aim of the training is to raise awareness about digital violence today and to share good practice among youth workers how to present such a sensitive topic. We want to create a youth that can use their digital competences and consume internet for their professional and personal development. During the training there will be also a making of videos with the participants. The content should be their personal experience or view on digital violence. The aim is to show that potentially everyone can get a victim of digital violence. The videos should be posted on web pages owned by participants or partner organisations and on their social networks. This will be a possibility to make the campaign more visible and to raise awareness among a wider group of people. This event will bring together 32 participants from Serbia, Germany, Montenegro, Albania, Croatia, Russia, Romania, Azerbaijan, Macedonia Lithuania, Estonia, Turkey, Bulgaria, United Kingdom and Norway. The event will be held in English. There are 2 vacancies available and participants should have minimum 18 years old. The Erasmus + Programme will cover 100% of the accommodation, food and activities and will reimburse 100% of the travel costs for the participants (up to and amount of 275 euros). There will be a participation fee of 40 Eur. per participant.